IN BRIEF: “Obado suspected that Sharon, who was pregnant with his child, was double dealing him with his son after noticing that they were frequently texting each other,” says the journalist. Nation Media Group journalist Barrack Oduor who was abducted alongside slain Rongo University student Sharon Otieno but managed to escape is now speaking out…and the details are explosive. Oduor, who escaped by jumping off the moving car belonging to kidnappers, now claims that he was privy to details about the alleged love triangle between Sharon and Migori Governor Okoth Obado. Speaking to Daily Nation, the reporter who claims to have interacted with Sharon for long said Governor Obado allegedly fell out with the 26-year-old after discovering that she was in contact with his (Obado) son. “I met with Sharon and interacted severally for the past one month. She told me she was having an affair with Obado who had even impregnated her but refused to take responsibility of the pregnancy. She informed me their relationship went south after Obado realised she was chatting with his son thus cheating on him,” Oduor said. 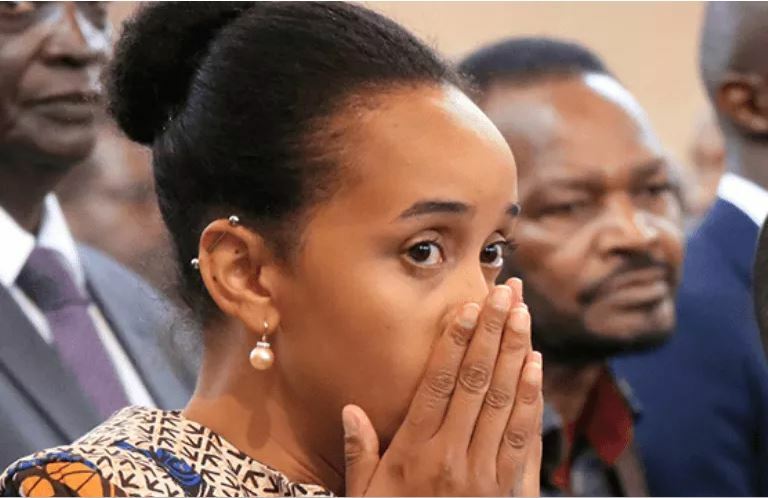 The journalist said Sharon contacted him seeking to have her affair with the ODM Governor exposed since he had abandoned her after she became pregnant. “The girl who was a student confirmed she received Sh 100,000 from Obado a month before we met. However, she said the governor neglected her calls and text messages after sending the amount which was less than what he used to send before,” Oduor explained. He says Governor Obado accused her of cheating on him with his son after he found out that the two had been exchanging text messages. Sharon’s mother admitted to having knowledge of her daughter’s engagement with Obado but claimed that Obado had refused to fulfill his promise of awarding her county government tenders. A post-mortem examination carried out on her body on Friday confirmed that Sharon died from excessive bleeding after being stabbed several times on the stomach, neck and back.